INSPIRED by the legendary McLaren 675LT and its iconic Longtail racing predecessor, the F1 GTR, the British marquee has created the 600LT, just the fourth car in its history to carry the Longtail name. The McLaren 600LT marks the beginning of the next chapter in the McLaren ‘Longtail’ (LT) story and at the same time sets a new sports car benchmark as the fastest, most powerful and most track focused – yet road legal – Sports Series, McLaren has created. It features increased power, reduced weight, optimised aerodynamics, absolute driver engagement, track-focused dynamics and strictly limited availability – all true McLaren ‘Longtail’ (LT) traits. Based on the 570S coupe, the new addition to the LT family has all the physical hallmarks of a true McLaren ‘Longtail’, including a silhouette elongated by 74mm; an extended front splitter, lengthened rear diffuser and fixed rear wing. To deliver the extreme performance appropriate for an LT, the McLaren 600LT is powered by a twin-turbocharged, 3.8-litre V8 engine that benefits from an up-rated cooling system and reduced back pressure in an exhaust system that is even shorter and more extreme than that of the McLaren Senna. Peak power is 441kW, with maximum torque of 620Nm and the power-to-weight ratio of the McLaren 600LT at lightest dry weight is an astonishing 353kW/tonne. Inside, the minimalist, track-focused interior features the same carbon fibre racing seats first seen on the McLaren P1, and lightweight Alcantara trim material features extensively. Super lightweight carbon fibre seats developed for the McLaren Senna are also available. Local McLaren dealerships are advertising the 600LT, for which expressions of interest are currently being taken, despite local pricing and availability not yet known. It is expected to be priced at £185,500 (around $335,000 Australian) when it goes on sale in the UK. 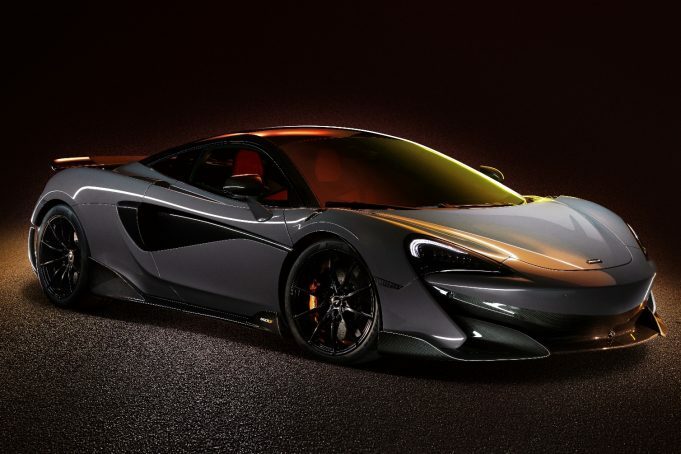 Production will commence on the new McLaren 600LT in October. A brand new look, an enhanced 4WD system with an off-road performance focus, and the latest in active safety and driver assistance systems have all been bundled into the 2019 Mitsubishi Triton, revealed today by the Japanese car maker.